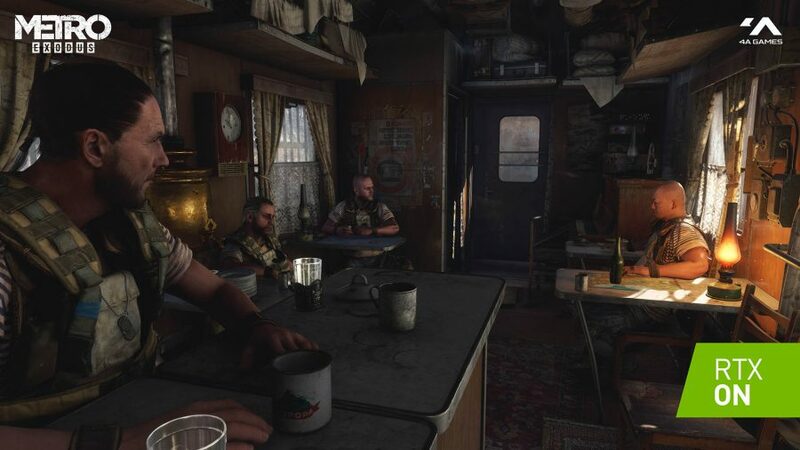 Nvidia's ray tracing family just doubled in size - but how does Metro Exodus cope with all those rays? 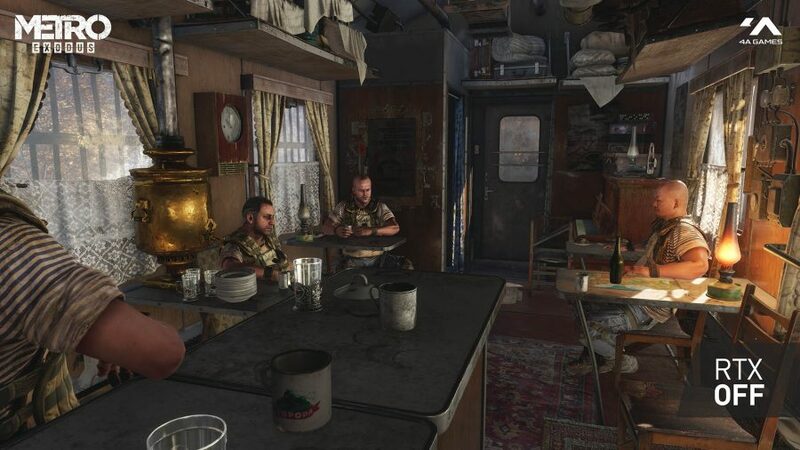 Not only are we saturated with post-apocalyptic gore this week with the launch of both Far Cry New Dawn and Metro Exodus, the latter will support the ‘holy grail’ of rendering tech: real-time ray tracing. Yes there’s finally a second game on the Nvidia RTX ray tracing roster – and an 8/10 first person shooter at that. Us gamers have been patiently waiting since last November for a follow up to Battlefield V’s ray traced warfare. But that day has finally arrived and none too soon. 4A Games has delivered with Metro: Exodus, a survival stealth shooter dragging us heaving and afraid through a ravaged Russian wasteland. Packed with all the Nvidia proprietary tech, 4A Games hasn’t skimped a penny from its RTX title. Not only is real-time ray tracing raring to go, there’s also DLSS implementation for all your super sampling needs. BFV also receives DLSS support in the latest Game Ready driver – just about beating 4A Games’ title to the public release punch – but Metro will be just the second game to launch capable of both RTX technologies intertwined for maximum performance. The benchmarking software isn’t privy to DLSS at this time, so we’ll have to settle for regular ol’ ray tracing results via the prescribed run. Ray tracing can be set to either: High, Ultra, or off. There are no half-measures here and Ultra is intended solely for RTX 2080 Ti owners that want to really push its 544 Tensor Cores and 68 RT Cores to their limits. We opted for Ultra quality graphics preset and the High ray tracing preset in all our testing for consistency. At 1080p, real-time ray tracing has, roughly, an 18% impact on fps. Meanwhile, at 1440p averages are down 31% on average, and at 4K 25%. But there is a saving grace for performance hounds: DLSS. Skipping the pesky benchmark executable, we managed to wrestle Metro Exodus into a tiger feint crucifix armbar – that’s a real wrestling move, look it up – and quickly put together our own proprietary in-game run to see how Nvidia’s supercomputer fares in a quick and dirty, deep learning pop quiz. While still not quite completely negating the performance impact of ray tracing on the GPU, DLSS does indeed increase fps by roughly 17% at 1440p and Nvidia’s promised 40% at 4K with the RTX 2080 Ti. That’s close to the non-RTX performance figures. However, our RTX 2080 Ti was struggling to top 60 at 4K, and that looks to be down to some sort of a framecap limiting the game’s performance. 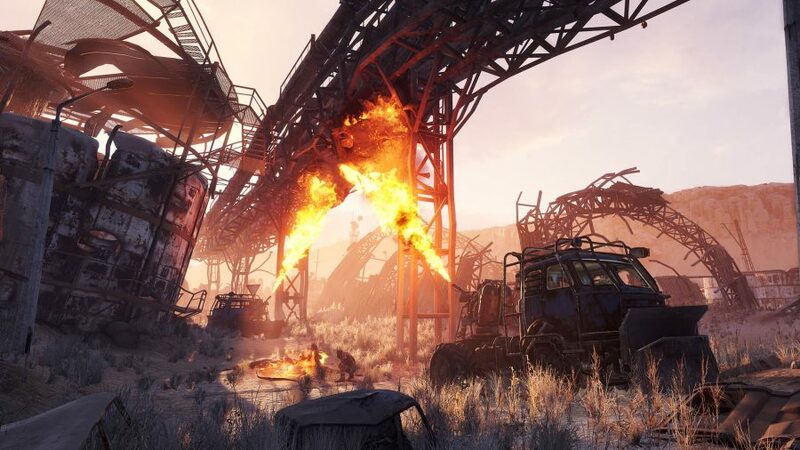 Our benchmarks have all been made with early versions of Metro Exodus, and without the Game Ready driver release which has only just gone live, and so performance post-launch could actually improve. So, you’ll also want to make sure to pick up the latest Nvidia Game Ready drivers for the best performance. And for those of you still undecided on 4A Games’ latest gritty escapade, here’s our full Metro Exodus review. Spoiler alert: we gave it an eight out of 10. “The strongest in the series” according to our Harry.